"I make the distinction between religion and creed. Religion is the acceptance of all existing creeds, seeing in them the same striving towards the same destination. Creed is something antagonistic and combative. There are different creeds, because there are different people, and the creed is adapted to the commonwealth where it furnishes what people want. As the world is made up of infinite variety of persons of different natures, intellectually, spiritually, and materially, so these people take to themselves that form of belief in the existence of a great and good moral law, which is best fitted for them. Religion recognizes and is glad of the existence of all these forms because of the beautiful underlying principle. The same goal is reached by different routes and my way would not be suited perhaps to the temperament of my Western neighbour, the same that his route would not commend itself to my disposition and philosophical way of thinking. I belong to the Hindu religion. That is not the Buddhists' creed, one of the sects of the Hindu religion. We never indulge in missionary work. We do not seek to thrust the principles of our religion upon anyone. The fundamental principles of our religion forbid that. Nor do we say anything against any missionaries whom you send from this country anywhere. For all of us they are entirely welcome to penetrate the innermost recesses of the earth. Many come to us, but we do not struggle for them; we have no missionaries striving to bring anyone to our way of thinking. 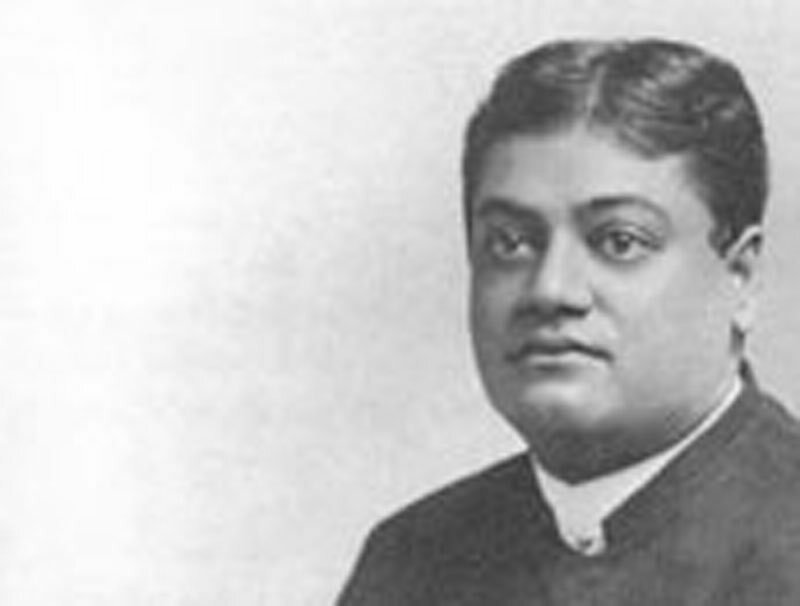 With no effort from us many forms of the Hindu religion are spreading far and wide, and these manifestations have taken the form of Christian science, theosophy, and Edwin Arnold's Light of Asia. Our religion is older than most religions and the Christian creed — I do not call it religion, because of its antagonistic features — came directly from the Hindu religion. It is one of the great offshoots. The Catholic religion also takes all its forms from us — the confessional, the belief in saints and so on — and a Catholic priest who saw this absolute similarity and recognised the truth of the origin of the Catholic religion was dethroned from his position because he dared to publish a volume explaining all that he observed and was convinced of." "You recognise agnostics in your religion?" was asked. "Oh, yes; philosophical agnostics and what you call infidels. When Buddha, who is with us a saint, was asked by one of his followers: 'Does God exist?' He replied: 'God. When have I spoken to you about God? This I tell you, be good and do good.' The philosophical agnostics — there are many of us — believe in the great moral law underlying everything in nature and in the ultimate perfection. All the creeds which are accepted by all people are but the endeavours of humanity to realise that infinity of Self which lies in the great future." "Is it beneath the dignity of your religion to resort to missionary effort?" For reply the visitor from the Orient turned to a little volume and referred to an edict among other remarkable edicts. "This," he said, "was written 200 B.C., and will be the best answer I can give you on that question." "The King Piyadasi, beloved of the gods, honours all sects, both ascetics and householders; he propitiates them by alms and other gifts, but he attaches less importance to gifts and honours than to endeavour to promote the essential moral virtues. It is true the prevalence of essential virtues differs in different sects, but there is a common basis. That is, gentleness, moderation in language and morality. Thus one should not exalt one's own sect and decry others, but tender them on every occasion the honour they deserve. Striving thus, one promotes the welfare of his own sect, while serving the others. Striving otherwise, one does not serve his own sect, while disserving others; and whosoever, from attachment to his own sect and with a view to promoting it, decries others, only deals rude blows to his own sect. Hence concord alone is meritorious, so that all bear and love to bear the beliefs of each other. It is with this purpose that this edict has been inscribed; that all people, whatever their fate may be, should be encouraged to promote the essential moral doctrines in each and mutual respects for all other sects. It is with this object that the ministers of religion, the inspectors and other bodies of officers should all work." After reading this impressive passage Swami Vive Kananda remarked that the same wise king who had caused this edict to be inscribed had forbidden the indulgence of war, as its horrors were antagonistic to all the principles of the great and universal moral doctrine. "For this reason," remarked the visitor, "India has suffered in its material aspect. Where brute strength and bloodshed has advanced other nations, India has deprecated such brutal manifestations; and by the law of the survival of the fittest, which applies to nations as well as to individuals, it has fallen behind as a power on the earth in the material sense." "But will it not be an impossibility to find in the great combative Western countries, where such tremendous energy is needed to develop the pressing practical necessities of the nineteenth century, this spirit which prevails in placid India?" The brilliant eyes flashed, and a smile crossed the features of the Eastern brother. "May not one combine the energy of the lion with the gentleness of the lamb?" he asked. Continuing, he intimated that perhaps the future holds the conjunction of the East and the West, a combination which would be productive of marvellous results. A condition which speaks well for the natures of the Western nation is the reverence in which women are held and the gentle consideration with which they are treated. He says with the dying Buddha, "Work out your own salvation. I cannot help you. No man can help you. Help yourself." Harmony and peace, and not dissension, is his watchword. "A frog lived in a well. It had lived there for a long time. It was born there and brought up there, and yet was a little, small frog. Of course the evolutionists were not there to tell us whether the frog lost its eyes or not, but, for our story's sake, we must take it for granted that it had eyes, and that it every day cleansed the waters of all the worms and bacilli that lived in it, with an energy that would give credit to our modern bacteriologists. In this way it went on and became a little sleek and fat — perhaps as much so as myself. Well, one day another frog that lived in the sea, came and fell into the well. "'The sea? How big is that? Is it as big as my well?' and he took a leap from one side of the well to the other. "That has been the difficulty all the while. "I am a Hindu. I am sitting in my own little well, and thinking that the world is my well. The Christian sits in his little well and the whole world is his well. The Mohammedan sits in his well and thinks the whole world that. I have to thank you of America for the great attempt you are making to break down the barriers of this little world of ours, and hope that, in the future, the Lord will help you to accomplish that purpose."